Examples of memes are tunes, catch-phrases, clothes fashions, ways of making pots or of building arches. Just as genes propagate themselves in the gene pool by leaping from body to body via sperm and eggs, so memes propagate in the meme pool by leaping from brain to brain via a process which, in the broad sense, can be called imitation. The rapid spread of a good idea through the scientific community may even look like a description of a measles epidemic. But when you examine the underlying reasons you find that they are good ones, satisfying the demanding standards of the scientific method. Dennett’s point here returns us back to Dawkin’s own famous argument about the inherent “selfishness” of genes—that their primary “loyalty” is not to the organism which they happen to inhabit, but rather to their own self-preservation. Similarly, we might ask, is the “loyalty” of individual memes to broader ideals of truth, morality, etc., or are they merely “selfishly” concerned with their own self-propagation? I became a little alarmed at the number of my readers who took the meme more positively as a theory of human culture in its own right -- either to criticize it (unfairly, given my original modest intention) or to carry it far beyond the limits of what I then thought justified. The irony here is that it is precisely the concept of meme’s own “meme-like” identity which allows it to mutate and “evolve,” and in the process diverge from the meaning (meming?) Dawkins originally intended. If the inherent goodness of Dawkin’s own notion of “good memes” can be brought into question, what implications does this have for our understanding of the meme-like dissemination of the “good deeds” in the “What goes around” commercial? A potential answer can be found in the curious fact that H&H chose to debut the commercial during the June 5th season finale of NBC’s new game show, “Deal or no Deal.” As Said Shirazi discusses in a recent post on Print Culture, NBC’s “Deal or No Deal” is a game show in which contestants are presented with 27 briefcases, each containing a sum of money ranging from one cent to a million dollars. As the contestants open the briefcases, they are periodically made offers inviting them to accept a monetary “buy out,” or continue opening the briefcases until they reach the last one (the contents of which they are apparently allowed to keep). The decision to debut the commercial during the materialistic game show is a curious one because, as one commentator to the H&H blog observed, “considering the theme is personal responsibility, it seems a bit odd that it debuted on a show that’s all about the exact opposite: get rich quick without doing anything to earn it.” Although Ernie, of H&H responds, “I could argue that Deal Or No Deal, because it offers such a high contrast climate, is in fact the perfect launch setting,” I nevertheless think that the commentator’s point remains a very interesting one. Indeed, despite the commercial’s stated concern with “personal responsibility,” is it not true that Liberty Mutual is, in the end, an insurance company, and therefore necessarily operates by reducing the complexity of human existence to its underlying actuarial realities? And, do not the contestants on “Deal or no Deal” operate like actuaries [although Said would argue very bad ones], constantly calculating and recalculating the ratio of risk to potential return? The transition from the inherent amorality of Liberty Mutual’s underlying actuarial business model to the ostensible morality of the “personal responsibility” advocated in the “What goes around” commercial, therefore, suggests the possibility that the “good deed” meme within the commercial itself might similarly morph into something amoral, or even immoral. 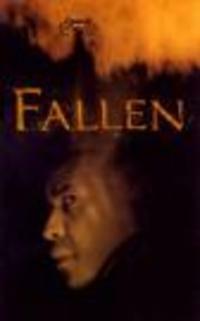 For comparison, we might consider a famous scene in Gregory Hoblit’s 1998 thriller, Fallen, in which an assortment of strangers on a crowded sidewalk collectively sing the lyrics to The Rolling Stones’ song, “Time is on my side”—with each person singing a brief snippet and then inadvertently touching someone else who then sings the next snippet. While illustrating the way catchy songs are often literally passed “virally” from one person to the next (e.g., you overhear someone singing a song, and then can’t get the damned thing out of your head), in the context of the movie this process of musical contagion has a much more sinister explanation. “Time is on my side,” we learn, was the song that the serial killer Edgar Reese (Elias Koteas) sang defiantly at his own execution. Even after his death, however, his signature murders continue, and evidence found at the sites of these new murders appears to implicate John Hobbes (Denzel Washington), the homocide detective who had helped to apprehend and convict Reese in the first place. It turns out that the murders were actually not committed by Reese “himself,” but rather by the fallen angel Azazel, who is able to jump from one human host to another with the aid of a single touch. In the “Time is on my side” sidewalk scene, therefore, what appears to be an instance of a catchy tune “leaping from brain to brain” (to quote Dawkins on memes), is actually Azazel leaping from host to host. What if we were to take the fallen angel Azazel as our model for the “good deed” meme in the “What goes around” commercial? Like the “good deed” meme, Azazel moves virally from one host to the next, enabled by physical contact or close proximity among strangers. Importantly, however, Azazel’s loyalty is not to his transitory host, or even less to some metaphysical moral code, but rather he/it is quintessentially “selfish,” loyal only to him/itself. And, therefore what if the “good deed” meme in the commercial is similarly “selfish,” such that when it does eventually “come [back] around” it may have morphed into something unrecognizable? It is interesting that Dawkins, whose whole selfish gene idea is based on applying a method of costs and benefits to the reproduction of the gene, gives us an idea of a floating freebie -- the meme that operates in an economic vacuum. Too bad he is way too british to read Mauss, or even Karl Polyani on exchange, reciprocity, and sacrifice. However, the ad you describe seems so disgusting that it is perfectly appropriate to an era when all sacrifices are occluded -- from the blind spot of pics of dead American soldiers returning home, boxed, from Iraq to the class occlusion of the effects of tilting the economic system violently to the advantage of the top 5 percent income bracket. And of course there is the ghost of credit card debt that has replaced the spectre that is haunting Europe with the spectre that is haunting the internal American market. "The researchers found that most senior managers believed that celebrations and ceremonies and non-cash recognition were the best incentives for non-managers... But for senior managers, they responded that the best incentive was cash rewards tied to quality performance." Kindness is for other people. Great post. You ask why they titled the commercial "What Goes Around"? Well, if they called it "Pay It Forward" they'd get sued. Also, in the "Fallen" trailer, the serial killer tells the cop, "Remember this, what goes around, REALLY goes around." Maybe they've seen it, or maybe it's just a cliche. Roger, your comments about Dawkins' memes are, I think, right on. I also very much liked your mention of gift theory. As Mauss, Derrida, and others have noted, gift-giving involves a denial or supension, at the moment of exchange itself, of the underlying symbolic economy within which the gift is embedded. A gift, by definition, must be given freely, with no expectation of explicit return (or otherwise it would not be a gift), but at the same time it creates an implicit "debt" which must then be repaid. Does not this dynamics of erasure and pernicious reinscription of the economic describe the logic of the "What goes around" commercial? Said, thanks for pointing out the parallels between the commercial title and the Fallen trailer. Indeed, Fallen's use of the "what goes around..." line (together with its evil connotations) underscores the inherent weirdness that Liberty Mutual is borrowing that line for its fuzzy, feel-good commercial. Finally, one more interesting point which ties into both of your remarks is the fact that the commercial is structured as a closed circle: the last recipiant in the chain of good-will gestures, we realize, is the precisely the same man who retrieves the rag doll in the first sequence. The entire thing is one hermetic loop, with no point of egress. As an actuary I had to laugh at "the transition from the inherent amorality of Liberty Mutual’s underlying actuarial business model..." You'll be surprised to learn that actuaries actually spend time thinking about and discussing the issue of fairness, and don't believe everything is subject to reification. And I don't know the details of how the commercial was created, but the use of "What goes around" seems to obviously tie to crojas' last point about the (apparently nefarious) closed circle. Of course, if the circle isn't closed, then it degrades into a scene from [i]Fallen[/i], and ends with us all turning evil while running off in the shape of cats. There's no escaping! As a last thought, corporations (and commercials) are no more inherently wicked than blogs are inherently vain. Try approaching your cultural readings with an open mind! Thank you for your comments. To clarify, I do not claim here that either corporations or commercials are "inherently wicked" (though I would not necessarily disagree with the claim that most blogs are inherently vain! ), but I would stand by my claim that actuarial practice is essentially and necessarily amoral (though certainly not necessarily immoral, and there is a difference). Regardless of how much time actuaries spend thinking about and discussing issues of fairness, the fact remains that the inherent objective of an insurance actuary is to insure that the insurance company takes in more money, on average, than they have to pay out to their customers (much like a casino). I do not dispute that insurance companies play a very useful social function, but am not clear on the precise moral dimension of gambling against other people's misfortune. To take an example that is close at hand, there are countless outstanding lawsuits against insurance companies (including Liberty Mutual) covering the tri-state area devastated by Katrina, and specifically contested the insurance companies's attempt to exclude damage from Katrina's storm surge (for clients who did not have flood protection). The specifics of these cases vary widely (including some cases where the insurers refused coverage because they couldn't even establish what precisely (water or wind) had demolished the home, and I won't get into those details here. I will simply ask, if it were a question of basic morality, as opposed to contractual obligation, would not the correct course of action be to help clients rebuild their homes and their lives irrespective of what precise force of nature destroyed their homes? I am also an actuary. I don't contest your claim that insurance, like every other business in a capitalist society, has a basically amoral business model. I do disagree with your contention that the moral thing to do would be to pay all Katrina damage to customers, regardless of the actual terms of the contract. Like any other real-world entity, an insurance company has limited resources, and must use them first and foremost to fulfill its actual obligations. It would be no more moral for an insurance company to pay claims for which it didn't sell coverage than for a family breadwinner to give all his money to hungry people on the street. He has a moral obligation to feed his family, first, and an insurance company has a moral obligation to pay insured claims, first. If either entity has extra money, there are many moral choices of how to give it away. Extending extra money to Katrina victims might be one, but it might not be, as it risks setting a bad precedent in which the company might be expected in the future to give away money it needs in the wake of a catastrophe, possibly hindering its ability to pay claims it has a strong moral obligation to pay. Insurers do go belly-up with depressing frequency, you know. You make a very good point. Certainly, few moral codes would dictate that an individual (or family, group, corporation, etc.) drive itself into financial ruin in order to help others, and I also don't necessarily contest the wisdom of the business model on which insurance companies are based (and finally, as I mentioned earlier, I recognize that insurance companies serve a very useful social function). However, to address your response to my rhetorical question, I would note that the financial considerations which come into play in deciding whether or not to make good on compelling claims which an insurer might not be contractually obligated to pay are complicated by the fact the implicit financial bottom line is not simply the ability to support oneself and one's family (the "family breadwinner" model you cite), but rather a business model predicated on making considerable profits for the company itself. That is to say, to stick with the Liberty Mutual--Hurricane Katrina example, the claim that LM (which only had a relatively small [3.9%] market share in the affected areas of LA) was financially unable to cover water-and-wind damage claims is compromised by the fact that, in the first 6 months of 2005 (immediately preceding Katrina) it earned nearly $1 billion in profits (a record for the nearly century-old company). You conclude by suggesting that making good on these sorts of claims might hinder the insurer's ability to pay future claims "it has a strong moral obligation to pay." If there is no moral obligation for a company sitting on $1 billion in profits to help a relatively small number of families rebuild their homes, I am not certain what other, more compelling, "moral" obligations (as opposed to contractual ones) a company might have. My basic point here, however, is one in which I believe we are in a agreement. I am simply suggesting here that an insurance company's actuarial practice is inherently, and necessarily, amoral--insofar as it is, by necessity, predicated on rising above considerations of individual compassion and instead focusing on the statistical laws which will insure that the company brings in, on average, more money than it pays out. The end result is undeniably, as you suggest, a benefit for society, but the means to that end necessarily look beyond the morality of individual cases. Unlike you and the previous commentator, I am not an actuary, and I would very much appreciate hearing more of your views on this issue. what is the name of the song that is used in your commerical? The home loans seem to be very useful for guys, which are willing to organize their career. By the way, it is not very hard to get a consolidation loan.